We found our first tick of the season tonight on Hayley, so they're around now. 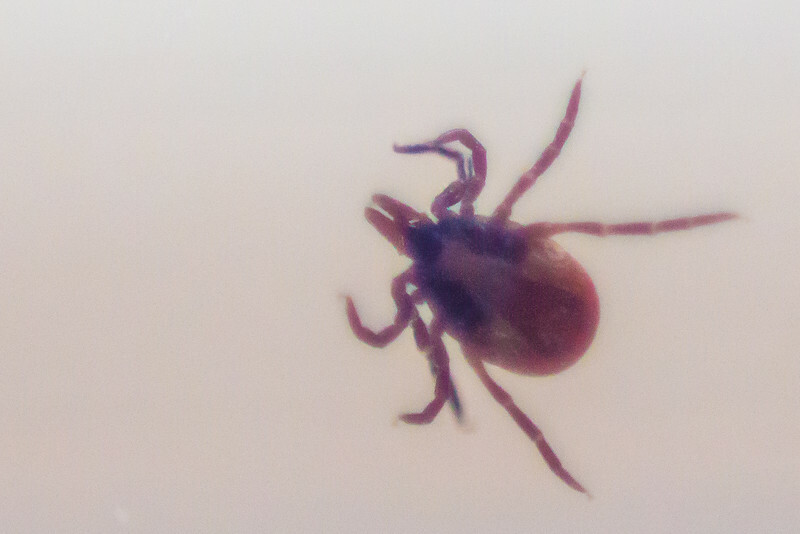 This shot is of a tick removed from a patient when oncall last year. I tried a new technique of holding a 50mm lens in front of the camera, the wrong way around - creating a useful macro effect with magnification. The tick was contained in a universal container, but the wide aperture easily threw the background out of focus.